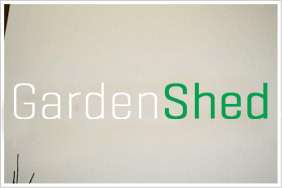 Gardenshed.com.au is the top provider of quality garden sheds at competitive prices. We only provide the best product and service to our customers. To provide the best, we only get from the best. 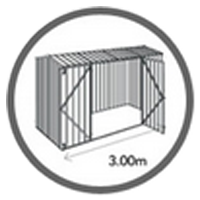 EasyShed & Absco our the market leaders in Australia when it comes to quality garden sheds. What makes our Sheds better than any other steel sheds in the market? They are so durable that they come with up to a lifetime warranty. EasyShed & Absco are also very easy to assembly. They have exclusive technology for fast and easy assembly that reduces the number of screws by more than half which also cuts the assembly time. They also have the thickest steel in the market for extra durability. Our product range is extensive. We provide all your garden shed needs from basic and compact size that comes with a single door to double door garden shed for a larger opening and for extra storage space. We also have the option with the EasyShed range of changing to Sliding Doors, or adding Extra Height to the walls/Roof by 30cm. We even have a side door garden shed perfect for that unused space on the side of the house. All of these come in a variety of colours to match your house. We have cream, green, grey, plain white and zinc & up to 25 colours with the EasyShed range. And all our sheds come with great warranty coverage for your peace of mind. What makes Gardenshed.com.au better than its competitors is its ability to give the best quality garden sheds at the best prices. Hard to believe? Check out our inventory! Our prices are among the lowest in the market. To all of you, from all of us at GardenShed.com.au - Thank you and Happy shopping!